Get ready for a brand new Tin Drum Asian Kitchen! You may already be familiar with the fast-casual restaurant, which is known for its bold takes on classic dishes from across Asia. But some Atlanta locations of the established franchise are getting an update, both in terms of décor and food options. Below are some tips on how to navigate the redesigned store and menu. Both are well-thought out and inspired by Asian street food. We’re talking noodle bowls, bahn mi sandwiches, and lots of fruit (as an ingredient in dishes and as a snack/dessert). 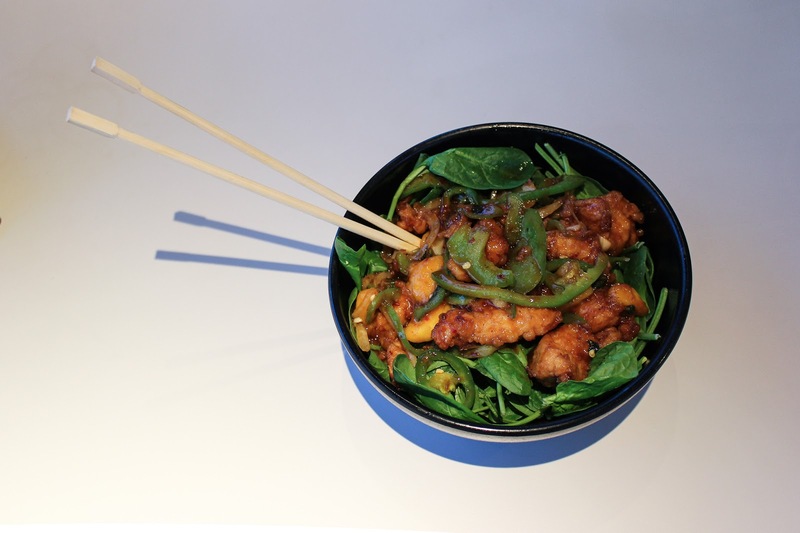 Check out the spicy basil mango stir fry, which you can get on a bed of rice or spinach, and with your choice of chicken, steak, shrimp, cauliflower or tofu as your protein. I got mine with crispy chicken and on a bed of spinach. I love that you can make healthy choices at a restaurant that would otherwise be fairly carb-heavy. The Koreano slider is a must! 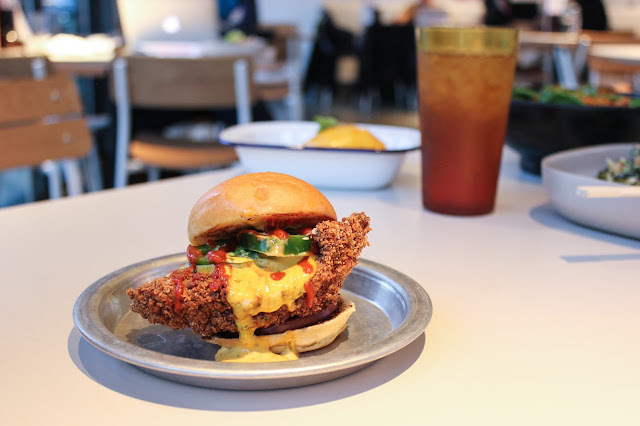 The chicken is the most perfectly seasoned fried chicken I’ve ever had, and it’s served with the delicious Gochujang red pepper sauce. The sumo soba salad is easily my favorite. Served chilled with spinach, cucumber, and sesame seaweed, it is refreshing and delicious. 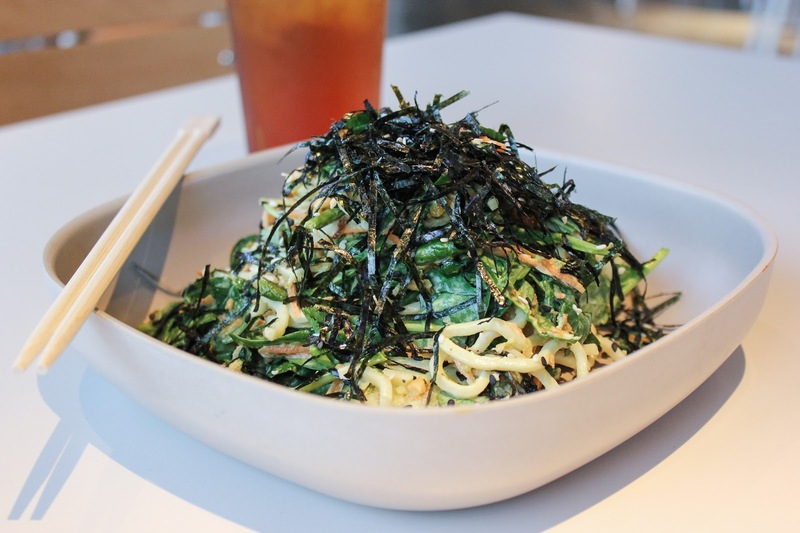 It’s hard to find soba noodles in Atlanta, and this is an excellent presentation of them. The chili mango is incredible! 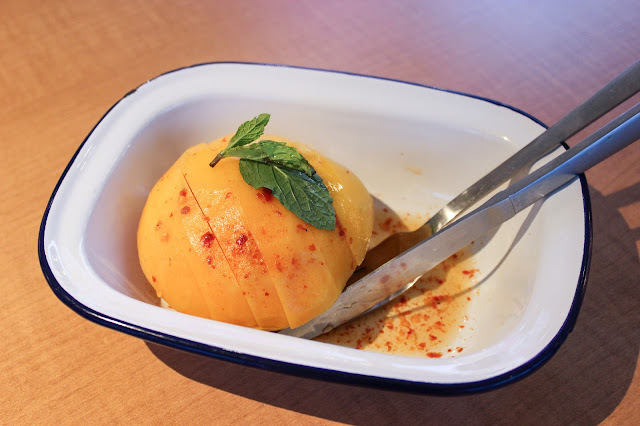 Fresh mango peeled and sliced and seasoned with salt and chili powder. Just spicy enough, but still sweet enough to round out your meal, this little dish can make for a great snack or dessert. 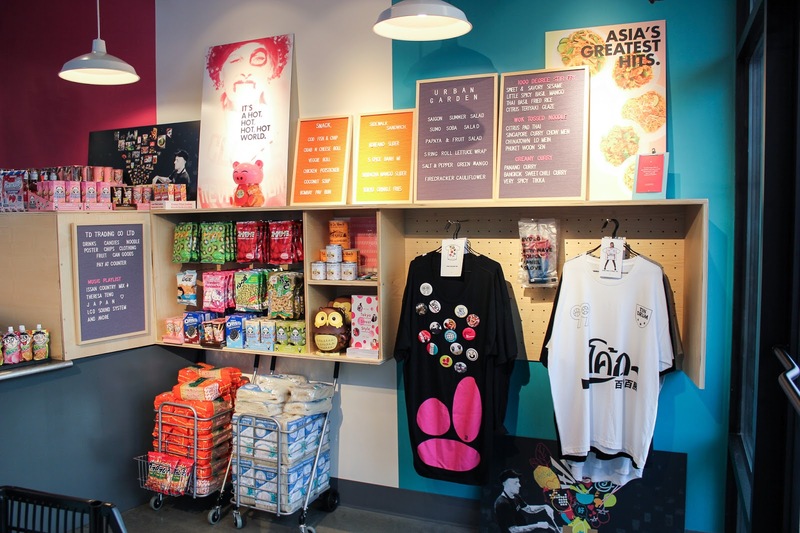 In addition to food that’s prepared to order, you can also pick up tasty snacks from the pantry at the entrance to the café. You’ll find items like Thai pepper Doritos, the aforementioned chili mango, and packs of noodles you can cook at home. 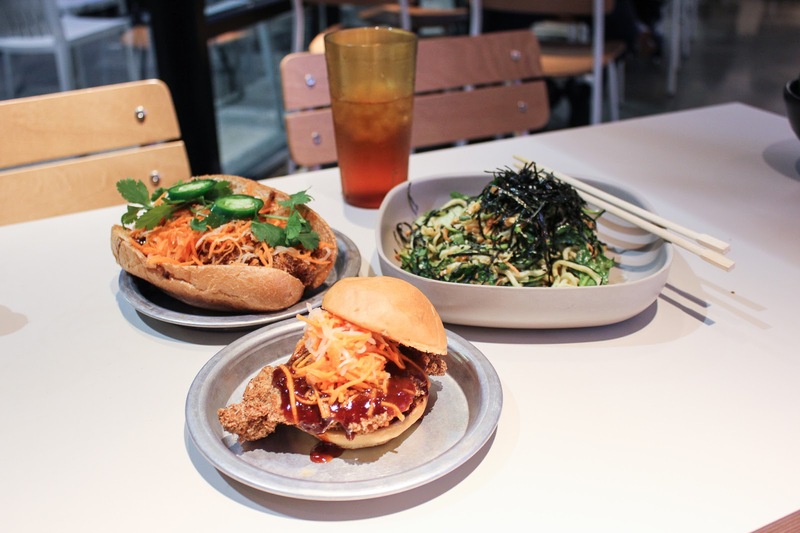 The newly opened Decatur location is the first example of the reimagined Tin Drum AsianKitchen, but other Atlanta locations are following suit. Keep checking the brand’s website and Instagram for updates. 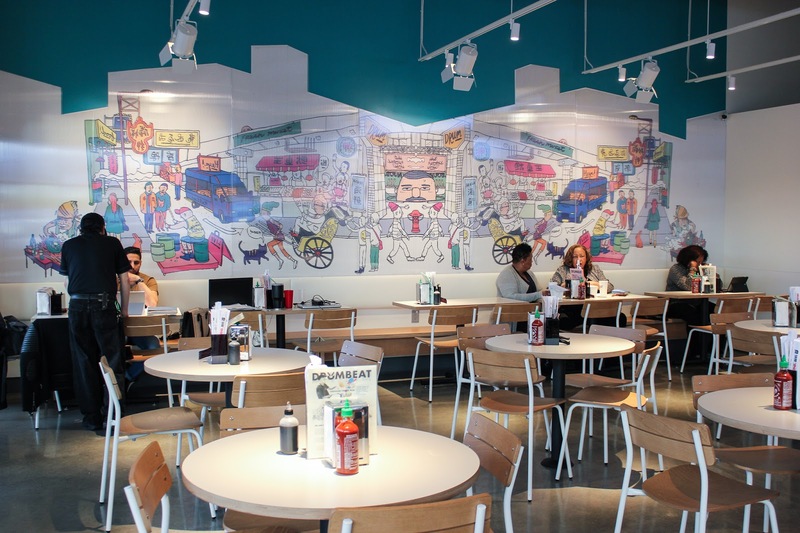 So tell me, what would you order at the new Tin Drum?